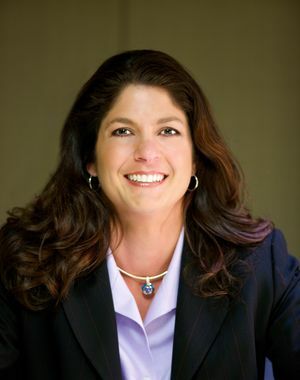 Lisa L Lockerman, MSFS, ChFC, AEP : Lockerman Financial Group – Wealth Advisor to Executives and Business Owners. Lisa Lockerman is the Founder and President of Lockerman Financial & Insurance Solutions, Inc.. Lisa has proudly served as a trusted wealth manager since 1991. In her partnership with clients, Lisa uses the philosophy of Financial Life Planning, a client-centered holistic approach that merges clients’ money with their lives. Lisa enjoys building long-term relationships with her clients by truly listening to their needs and educating them in ways that are comprehensive, yet easy to understand. Lisa specializes in working with Executives and Managers of publicly traded companies. She also enjoys speaking and has served as guest speaker at various professional group meetings, seminars, and educational venues, including some youth organizations. Lisa holds a Master of Science degree in Financial Services (MSFS) from The American College in Bryn Mawr, Pennsylvania. She received a Bachelor of Science degree in Business Administration with an emphasis in Finance Management and a Minor in Spanish from California State University, Long Beach. Lisa received the Chartered Financial Consultant (ChFC) designation and Certificate in Estate Planning and Taxation from The American College in Bryn Mawr, Pennsylvania. She received the Accredited Estate Planner designation from the National Association of Estate Planners & Councils. To receive the Five Star Wealth Manager award, individuals must satisfy a series of eligibility and evaluation criteria associated with wealth managers who provide services to clients. Recipients are identified through research conducted by industry peers and firms. Third party rankings and recognitions from rating services or publications are not indicative of past or future performance. For more information, go to www.fivestarprofessional.com.